The mission of JTCC’s Community Outreach program is to promote overall health and wellness and to encourage personal growth through sportsmanship, competitive spirit, independence, and teamwork, opening doors to future success. Furthermore, JTCC is a place where anyone regardless of their age, talent or if they suffer from a mental or physical disability has the opportunity to enjoy playing tennis. JTCC began its underserved neighborhood initiative in 2009 to introduce the sport of tennis to youth ages 5-11 in Prince George’s County, MD and Washington, DC. 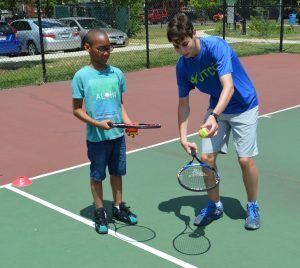 Instructors utilize a unique combination of tennis instruction and education to reach youth who lack the resources to learn the game of tennis. Since its inception JTCC has operated its program at 30 sites across the District of Columbia (GEICO Game On! program) and Prince George’s County, MD (Sandy Spring Bank Advantage Prince George’s program). To date, JTCC community outreach programming has reached more than 4,800 youth. Game On! 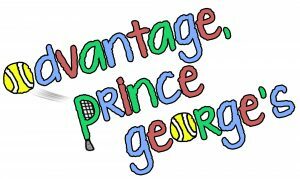 and Advantage, Prince George’s players have the opportunity to progress into Phase 2, the first step on the JTCC pathway towards earning a college scholarship. 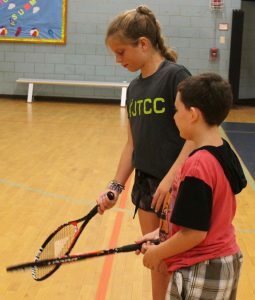 JTCC’s Community Outreach program is based on a mentoring model where high- performing student athletes in their early teens become role models for pre-teen youth in the community. Players enrolled in JTCC’s Champions program and JTCC coaches travel to community outreach sites to coach and mentor the participants. Every JTCC player and coach commits to 30 hours of grassroots coaching/mentoring each year resulting in many friendships between the mentors and participants. For community service opportunities, please click here. 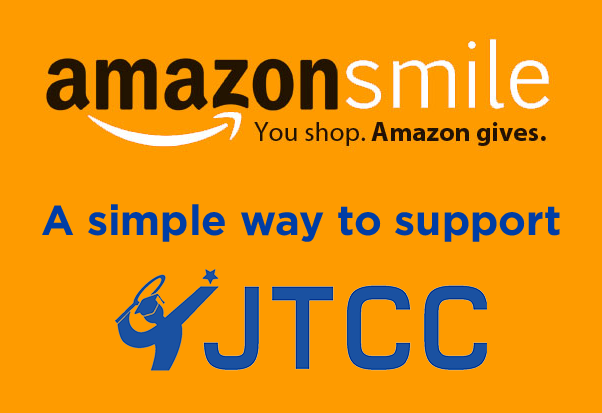 JTCC introduced an academic initiative to its community outreach program in 2013. The Academic Creative Engagement Curriculum (ACE) is a nationally accredited, out-of-school time program designed to support and encourage academic achievement, health, wellness, and strengthen life skills. ACE fuses tennis and education to provide engaging activities for all participants. This one-of-a-kind synergy creates a positive experience for everyone involved. With the introduction of ACE, participants receive two hours of instruction (one hour of tennis and one hour of educational programming) in a safe out-of-school environment. ACE lessons support classroom instruction and encourage students to communicate. Schools are mandated in preparing children for specific school and state assessments, whereas an out-of-school program provides the chance to talk about learning. Emphasis is placed on critical thinking, math concepts, and communication skills. The ACE Curriculum consists of 50 math, literacy and nutrition lessons and specific activities to prepare students for the national Arthur Ashe Essay and Art Contest. The curriculum is designed for 4th through 6th grade students; however, it can easily be modified to engage all ages and grade levels. The lessons are created to be supportive, engaging and experiential in nature. They are guided by academic standards developed by the National Council of Teachers of Mathematics (NCTM) and the National Council of Teachers of English (NCTE). They also support the Core Curriculum State Standards, which are being implemented in most states. JTCC runs a free monthly community tennis festival aimed at promoting all of the different junior and adult programs in addition to raising JTCC’s profile locally. The festivals are held on the last Sunday of every month from 3 -5 pm and are open to all ages and abilities. There is no requirement to have any previous tennis experience. Click here to sign up today! College Park Academy (CPA) is a charter middle and high school located a quarter of mile from JTCC. In a bid to generate further awareness in the local area JTCC began offering semester long series of free introductory classes to the CPA 6th graders (135 students) in Spring 2018. These classes take place on site at CPA during PE lesson time. In Fall 2018 JTCC implemented a CPA after school program whereby students come to JTCC for two hours on a Wednesday evening for a small fee to receive tennis and fitness instruction. This has provided a number of the CPA students who were introduced to tennis during the introductory classes the opportunity to continue improving learning in a more advanced environment.